As I previous wrote, I am using Windows 7 as my main Windows operating system on my laptop. To date, I dislike it intensely! I have not found a single useful feature that would really cause me to upgrade a Windows XP computer. The Windows Ribbon drives me nuts! It occupies a lot of area, and it does not give me any useful options that are not already available in the toolbar! I want it to vanish! Unfortunately, the entire toolbar area at the top of each window has grown very big :( I loved the way that I used to be able to put the address bar on the toolbar. I find the favourites that insist on appearing at the top of the panel on the left hand side to be useless to me. Why is there no button to allow me to “Go up one level” in the directory hierarchy? The status bar no longer contains useful information, such as the total file size when more than one file is selected! I used this Java Service Wrapper this morning to load a Java Application (in the form of a JAR) as a Windows XP service! The process was very straightforward, and it worked perfectly first time! I bought a Dell Inspiron 10v last week because I was really impressed with its weight and size. It came with some version of Windows XP, but I removed this and I installed Ubuntu Netbook Remix 9.04 instead. I decided to try this because I liked the user interface, and I thought that it might extend my battery life. Everything appeared to installed correctly, except the display driver :( The maximum resolution that I can specify is 800×576. However, the 10v has a native resolution of 1024×576! This is driving me mad! I posted a comment on the Ubuntu form (see Ubuntu Netbook Remix Display Resolution on Dell Inspiron 10v), but I have not got any responses yet :( I would love to know if anybody has got a 10v to work at this resolution! At least then I would know it is possible! I will keep my blog updated with any progress that I make. I came across the story behind the default Windows XP wallpaper, known as Bliss, on Wikipedia tonight. The article, Bliss, shows the original wallpaper, and a more recent photo! There is a huge difference! I tend to connect to the Internet a lot with my laptop in public places. 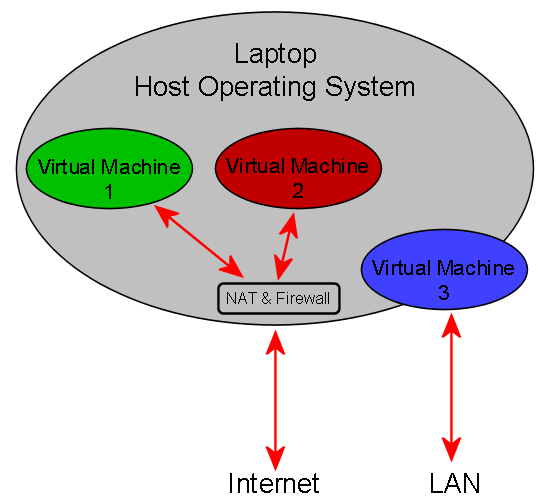 I have no confidence in the security provided by Windows (2000 or XP), and I am am extremely sceptical of any software based firewalls for Windows. I am a firm beliver of hardware based security! In particular, I like the Gatekeeper Pro in inline mode. I think that this would be perfect for me if only it also included WiFi. I previously wrote about the demise of Windows 3.11 in Goodbye Windows 3.11!. I have not used in it many years, so this news did not concern me. However, I still regularly use Windows 2000 because it does everything that I need. It also gives much better performance on older computers than its successor Windows XP. I have been thinking recently about how popular Windows 2000 remains. I started thinking about this after reading an article describing how the UK’s Royal Navy has started using a mix of Windows 2000 and Windows XP on its nuclear powered submarines. This is instead of the traditional custom designed software. The full article is Royal Navy completes Windows for Submarines™ rollout. During the Christmas holidays I was in several airports, and I was in many department stores. I was really surprised to see that many of the computers in these locations (boarding gates and customer information desks) were using Windows 2000. It is easy to spot this when the computers are not being used, because both the login screen and the default screensaver of Windows 2000 are distinctive. It must be the case that the benefits of using the newer operating systems do not yet justify the massive additional costs of upgrading so many computers.